The Esther Koplowitz Foundation for children with Cerebral Palsy occupies a 1950s building in south-west Madrid. 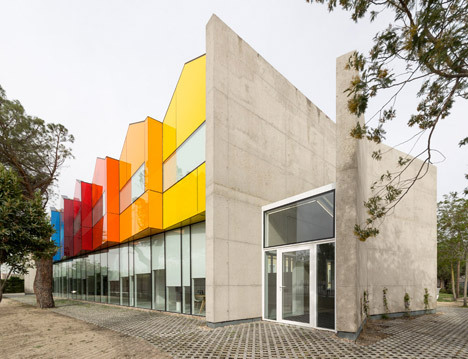 The architects of Hans Abaton met the challenge of extending the existing building in a particularly colourful way. For the mind tuned to dystopian role-playing, it looks like a thoroughly modern approach to multi-clearance working in a Service Group near you – a little slice of Alpha Complex.